Rafel Luján, from Barcelona Televisió, will explain how they used real time to keep citizens updated during the big snowfall of March 2010 that brought Barcelona to a halt and their integration of information from citizens, institutions and journalists. Jordi Pérez Colomer started his blog focusing on Obama and US politics, and maybe just because of that, he has paid more and more attention to the situation in the arab countries. He has become a reference to follow the latest news in spanish, about the arab countries’ revolutions. Anna Muñoz works in the digital newspaper in catalan language La Malla, that covered in real time the general strike of september 29th of 2010. 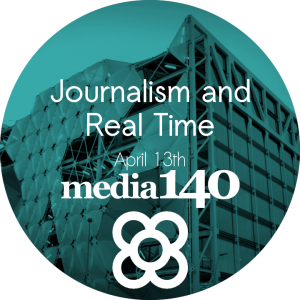 If you wish to attend the event, you can register in the Media140 website.